You have made the life changing decision to move to Spain! But, how are you moving your home contents to Europe? That is where Burke Bros can help you! Burke Bros are an award winning removals company that can assist your move to Spain from the UK and assure it is a stress-free experience. We appreciate how stressful moving overseas can be and that’s why Burke Bros employ the most experienced, trustworthy and professional removal team you will find. 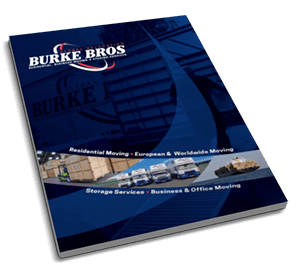 Here at Burke Bros we offer weekly sailings to Spain, providing excellent service at competitive prices to ship and deliver your most valued possessions and life-long accumulation of memories to your new home. We are a truly international removalist company and can relocate you to any region in Spain you desire from Andalusia to Valencia. Whether it’s you entire home, part-loads, single items or even just your car, with Burke Bros service you can expect a swift and safe removal. Additionally, Burke Bros are members of the FIDI organisation and the BAR. These accreditations mean we work to globally recognized quality standards, ensuring that your move to Spain will be handled carefully and professionally from start to finish.Being exclusive members of BAR and the FIDI organisation also guarantees that your money and your move are protected. This offers you financial security, operational competence, worldwide support and redress facilities that guarantee you complete peace of mind. An experienced estimator from our team will visit you at your home to determine the volume of goods you wish to move to Spain and any packing requirements you may have. Our Burke Bros Representative will also inform you of how the moving process works, right from the collection stage in the UK all the way to delivering your possessions to your new home in Spain. On a weekly basis Burke Bros operate moves to and from all of the regions throughout Spain and can also provide any storage you may require prior to delivery. Burke Bros will provide you with the best quality service when moving to Spain. If you’re planning on moving to Spain from the UK, why not get in touch with Burke Bros today and discuss your personal requirements with a member of our international removals team? Please don’t hesitate to contact our International team for more information.